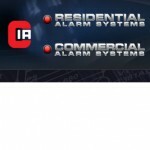 To better serve Columbia, Greene County and the surrounding regions, CIA Security acquired Scott Alarm Systems in August 2011. This company is now a branch office of CIA Security located in Catskill with a full service, inspection, installation and administrative staff. IA Security was established in 1979 by its President and Founder, John Lombardi. His background includes over 35 years of experience in closed-circuit surveillance, integrating access control, fire protection, and security systems. Now with a staff of over 50, CIA security has built its reputation in the Hudson Valley by developing and providing cost-effective, reliable, and trouble-free integrated solutions. We own and operate our own, on-site Monitoring Response Center at our Fishkill headquarters. We are listed by Underwriters Laboratories, Inc., (ID# 401500-001) which assures our clients that we meet the rigid standards for equipment reliability and competency.